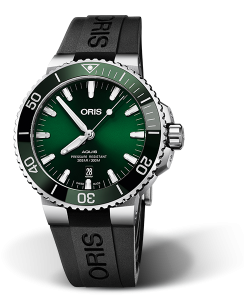 Stainless Steel, 43.5mm case, beautiful green dial, automatic movement, with exhibition case back. 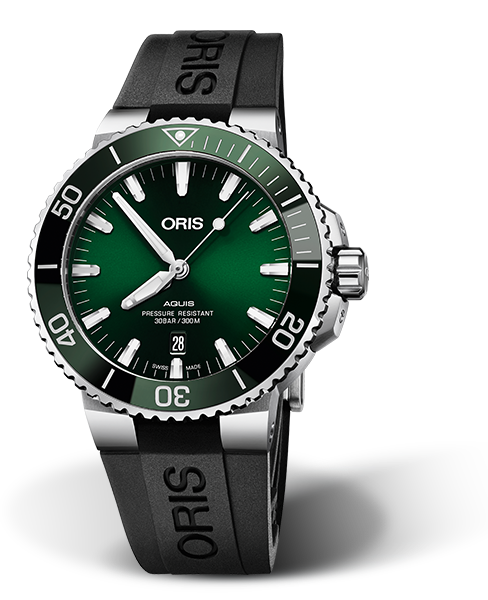 Shown on a sporty black rubber strap, with folding stainless steel buck. PRICE $1975 dlrs. To Purchase Call us 956.687.2981.